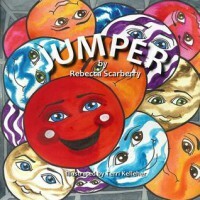 Jumper by Rebecca Scarberry is a delightful story for children of all ages. Follow the hilarious and sometimes scary adventures of Jumper, a red beach ball with feelings as he is taken on a mystery tour with his owner, Tony and family. The author fills every page with sweetness and sugar candy moments that will make every child want to read more but beware the sticky finger monster so lick them fingers after reading. This is a FIVE STAR children's novella that this reader highly recommends to all parents.